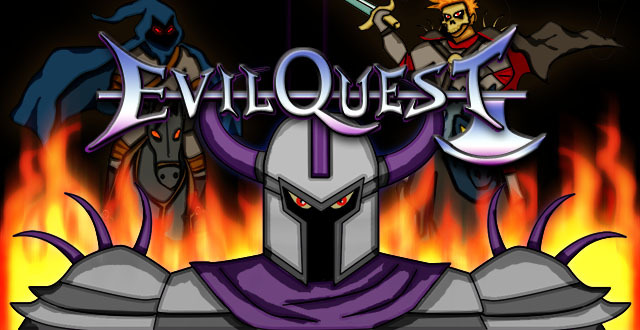 A recent harvest of new indie game demos from XBOX Live introduced me to EvilQuest byChaosoft. The artwork for the game and screenshots made me suspicious it was another RPG Maker catastrophe. But don’t be fooled. I’ll admit the game caught me off guard, it’s not just fun, the story line is also compelling. The big draw for EvilQuest is that you play as the villain, Galvis. At first this might seem a bit hokey, but keep going. Although Galvis is undeniably a monstrous psychopath, the game introduces a level of moral ambiguity that I didn’t expect. This is all complimented by hilariously over-the-top dialogue that actually manages to endear the player to Galvis and his incredible douchebaggery. As for gameplay, EvilQuest feels similar to Legend of Zelda. The player controls Galvis as he searches the world for the Chaos Axe that’s been scattered to different parts of the world. The world feels expansive and diverse despite having a limited tile set. I have to say I really underestimated how interested I would be in an RPG that looked so simplistic. But I found myself ignoring my triple A games to play EvilQuest. And this is only Chaosoft’s second game EVER. That’s impressive. The game took only about five hours to beat over the course of two days. But it was five very satisfying hours. One major reason is that EvilQuest has no grinding. The player levels up at a steady pace and the entire world scales to match that. There are no tedious fetch quests that bloat the main story line and pad the running time. I thought this would feel overly simplistic but it was actually refreshing. Really the only drawback are the graphics, which are basic. We had a good laugh at the soldiers who from certain angles look like giant dongs. But what it lacks in glamor it makes up for by being genuinely fun. And eventually the look of the game really grew on me. 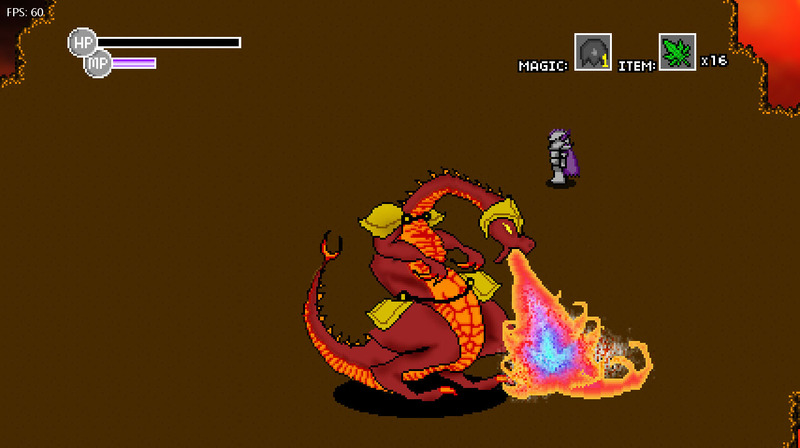 The sprites are simple, but many are lovingly crafted, I especially liked the dragon’s hand drawn fire blasts. Overall EvilQuest feels like it was made with a lot of care and a passion for gaming. VERDICT: EvilQuest looks dated, but it’s amazeballs. Can’t wait for EvilQuest 2. Check out Chaosoft’s website here.